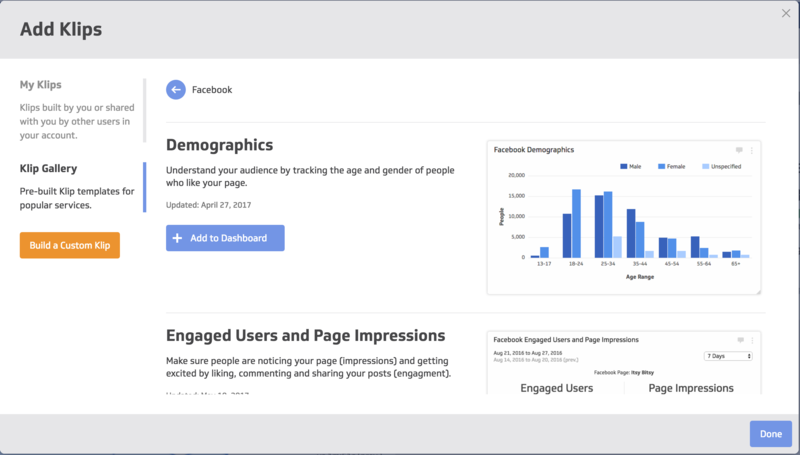 Klipfolio is a cloud app for building and sharing real-time business dashboards on web browsers, TV monitors and mobile devices. 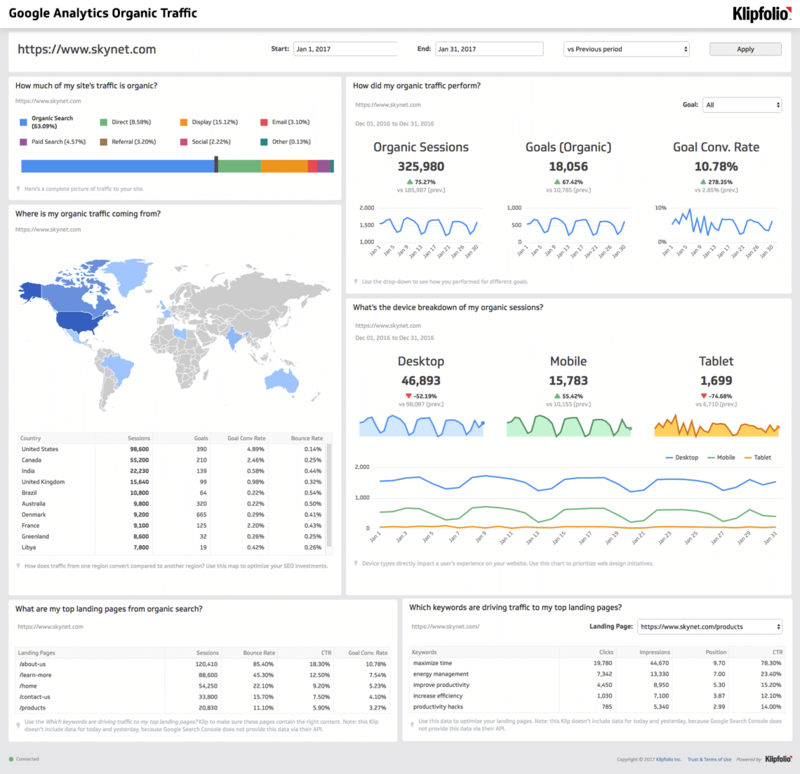 Business users, analysts and developers use Klipfolio to continuously monitor business performance across marketing, sales, operations and product development, and to report on progress against targets. 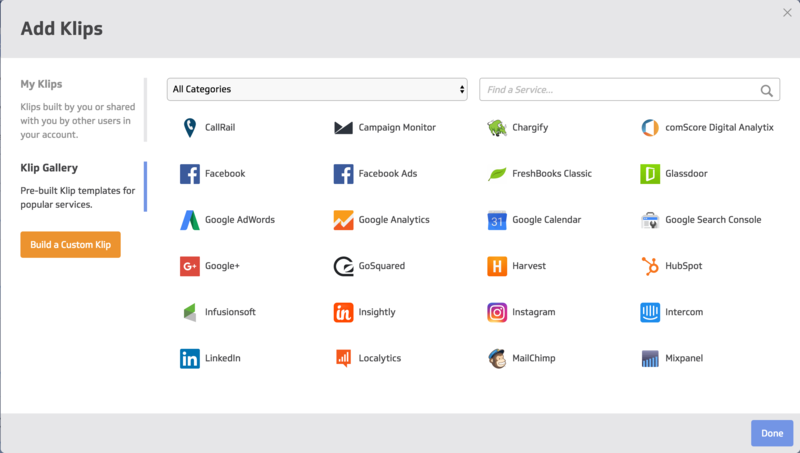 Connect to hundreds of data sources online and on premise, including web apps like SurveyMonkey, Google Analytics, AdWords, Box, Dropbox, HubSpot, Xero, Quickbooks, Salesforce and more. 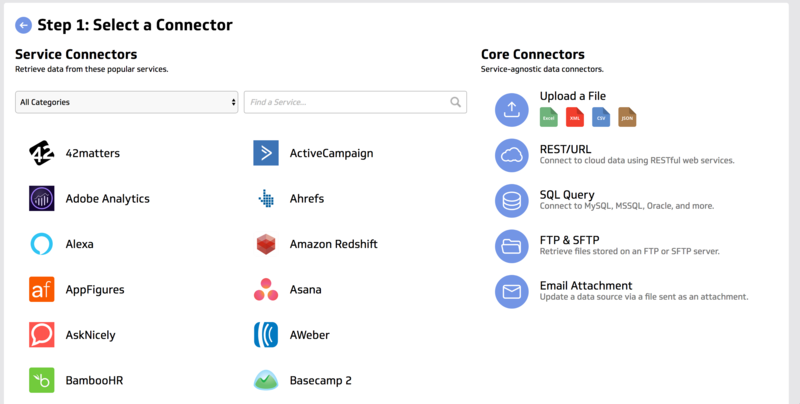 Leverage a robust library of pre-built connectors and data visualizations, or build your own, from scratch. Combine and manipulate data sources with Excel-like formulas and basic math operations, to build metrics that matter. Plans start at just $19/month for 5 users, and you can try it for free at Klipfolio.com.